Which Nursing Degree is Right for You: ADN or BSN? 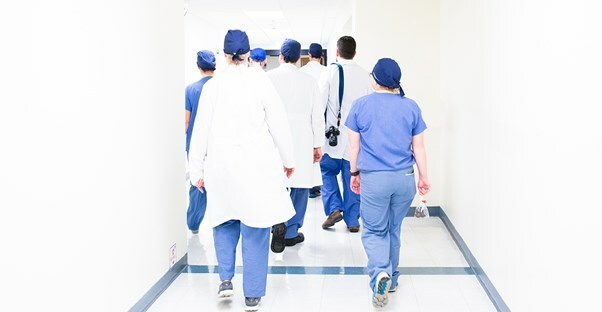 If you’re looking to get into the field of nursing, you may be surprised to learn that there are multiple routes to take. Your goal is to become an RN, a registered nurse, but you can’t get an “RN degree” because they don’t exist. Becoming an RN is not too complex, though. You can choose to get your Associate Degree in Nursing (ADN) or your Bachelor of Science in Nursing (BSN). They both have benefits and pitfalls, which we’ll go into below. After you complete a program, you must pass the NCLEX exam, after which you’ll be a registered nurse. As an entry-level RN, it doesn’t matter whether you have an ADN or a BSN; that will come into play later in your career. As an entry-level RN, you’ll take care of patients, administer their medication, and handle their charts and medical records. However, the direction your career goes in could be dependent on the degree you pursue. Pursuing your Associate Degree in Nursing (ADN) may be the obvious choice for many people seeking to become a registered nurse. Because it’s an associate degree, you can expect to get your degree quicker, pay less, and start working sooner. On average, it takes students two years to get their ADN, although students who attend less than full-time may go for three years. You can find ADNs at most community colleges or accredited online universities, making them easier for people to get. After you get your ADN, you must pass the NCLEX exam. Once you’ve done that, you can get an entry-level RN job. However, that’s about as far as an ADN will take you. You’ll start with the same job as someone with a BSN, albeit at a much sooner, but you’ll find it difficult to advance in your career. Because of this, an Associate Degree in Nursing is often seen as a first step. After getting their ADN, many people choose to get their BSN, which takes about an extra 12 months. Pursuing your ADN is typically better for people who need to work during school or need to get into the workforce quicker than their peers. For your BSN, you’ll attend school for four or five years. You’ll complete all the same coursework as someone in an ADN program, but you’ll have more in-depth training in many other areas. For this reason, a BSN is the more- valued degree choice; it’s generally considered to be a better education. A BSN will gain you an entry-level RN job, just like an ADN would, but it will also give you the potential to pursue promotions, graduate school, and raises. A growing majority of registered nurses have a Bachelor of Science in Nursing, so having this degree would mean you’re going to be able to handle job competition better than if you had an ADN. The downsides to a BSN is the extra time in school and the higher costs that come with being in school for a longer period of time. It’s for this reason that many people pursue an ADN: they need to get into the workforce quicker. Pursuing an ADN is the perfect choice for many people. One of the best ways to do that is to take online courses at an accredited university. This will provide the same level of education for someone who needs a more flexible schedule. However, this isn’t a true online degree path. Because you will have to do clinical work and occasional labs, you will need to be able to get to campus occasionally. It’s more of a hybrid degree path. If you’re thinking of pursuing an Online ADN, get in touch with the university you’re considering to see if you will be able to attend clinical rotations and labs with that university. If the accredited school approves your scheduling, an Online Associate Degree in Nursing might be the best pathway for you!